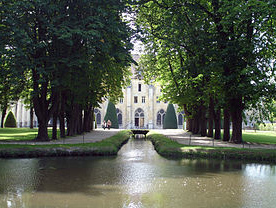 3 weeks-residency at the Royaumont Abbey. Lessons with Briang Ferneyhough, Johannes Schöllhorn and Dmitri Kourliandski. ΣΤΕΑΡ for Diotima Quartet and live electronics [realised at IRCAM by Greg Beller].